The Montanges moved to Climbing Hill in 1911 and left in 1913. In 1912, Lawrence died at two years of age. He is buried here, in a plot that now includes Richard Firth and George and Julia (Johnson) Montange. Lewis and Florence (Weaver) Montange are also buried here in another plot. 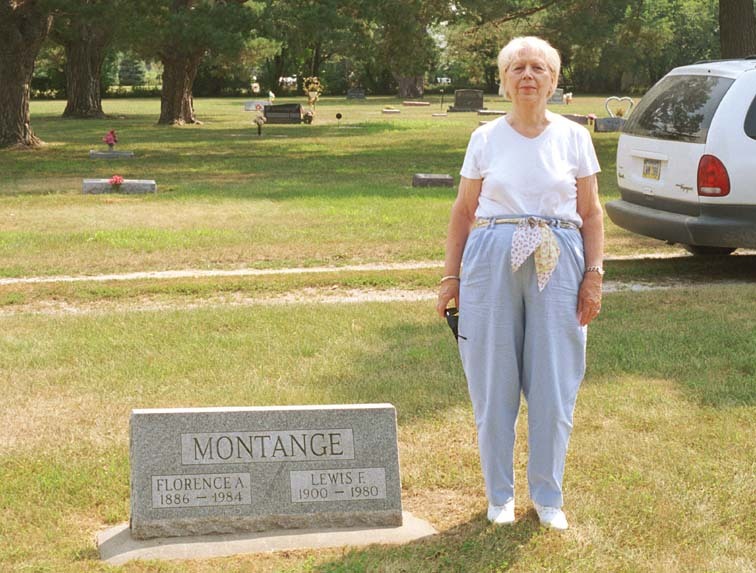 Dorothy Ann (Yockey) Hodgman next to the markers for Lewis and Florence (Weaver) Montange. This is located to the right of the entrance road about 100 feet from the intersection of Moville Blacktop and Deer Run Trail. 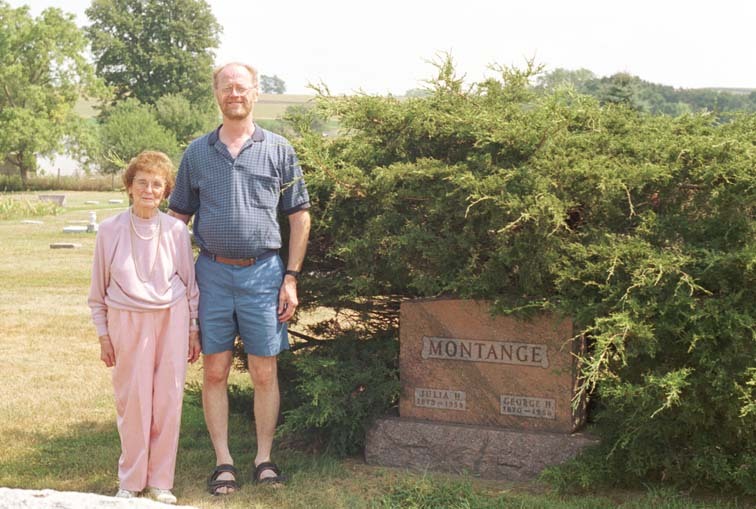 Hallie Leona (Montange) Sargisson and Richard Blair Hodgman next to George and Julia (Johnson) Montange's stone. This is located 50 feet past the point that the entrance road from the intersection of Moville Blacktop and Deer Run Trail crosses the entrance road from Moville Blacktop. Dorothy Ann (Yockey) Hodgman and Hallie Leona (Montange) Sargisson. 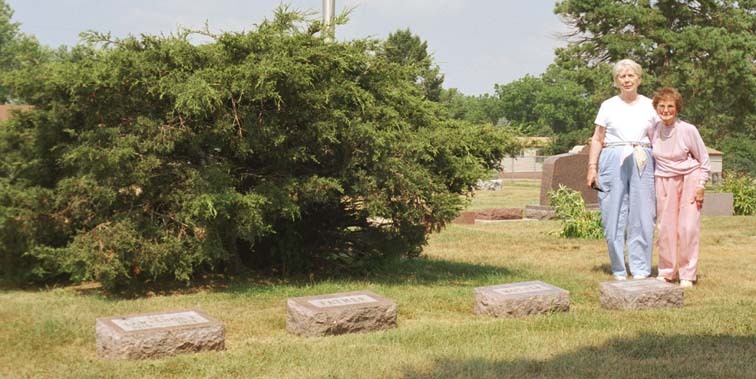 Grave markers, left to right, are Lawrence H. (son) (1910 - 1912), Father (George Montange), Mother (Julia (Johnson) Montange), and Grandson Richard Firth (1933). This is the east side of the previous gravesite.